Dr. Zlatanic is a Board Certified gastroenterologist. Dr. Zlatanic finished School of Medicine of University of Belgrade in former Yugoslavia. He completed internship and residency at Lenox Hill Hospital in New York. He then went for subspecialty training and completed fellowship in gastroenterology at the same hospital with High Honors in 1997. He passed his board the same year and became a Diplomate in Gastroenterology. Dr. Zlatanic has been in private practice ever since he completed his fellowship training. He published more than 10 scientific articles in internationally recognized medical journals. 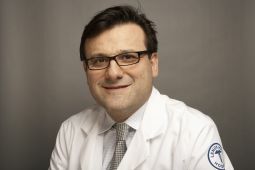 He is also actively involved in the teaching program that educates new gastroenterologists at Lenox Hill Hospital. Dr. Zlatanic has performed more than 20.000 endoscopic procedures.